I love Models Own nail polish more than... well, any other nail polish! These colours are amazing! 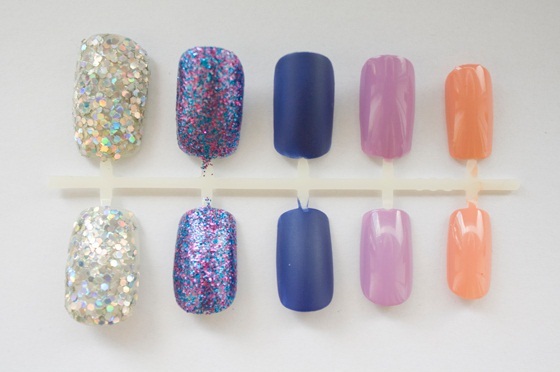 You could actually wear them all at once (not on the same finger, that would be ridiculus!) The glitter ones were particularly inpressive, as I am normally left disappointed by their coverage ability. However, the Models Own brand provides an excellent coverage and are perfect for Christmas. On another note, I hope to do some more outfit posts very soon. Am just waiting for a good camera and time to take them! As you have probably noticed, the lighting is rapidly disappearing, so photo taking time is limited. These ARE really pretty! And you're right, that sparkle one would be great for the holidays... I may have to check into getting some. Thanks for the review! 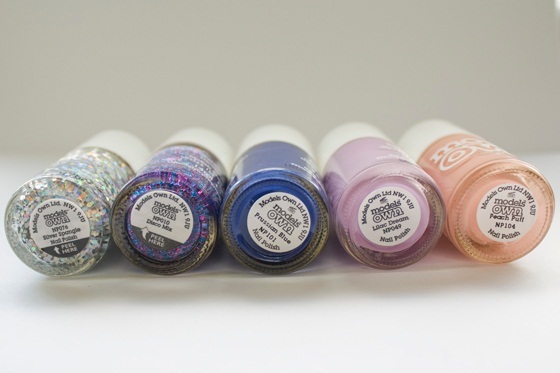 I am totally going to rock sparkly nail polish this Christmas!! Where can you by models own from? ?